Fort Lawton Ellicott Property Pending! 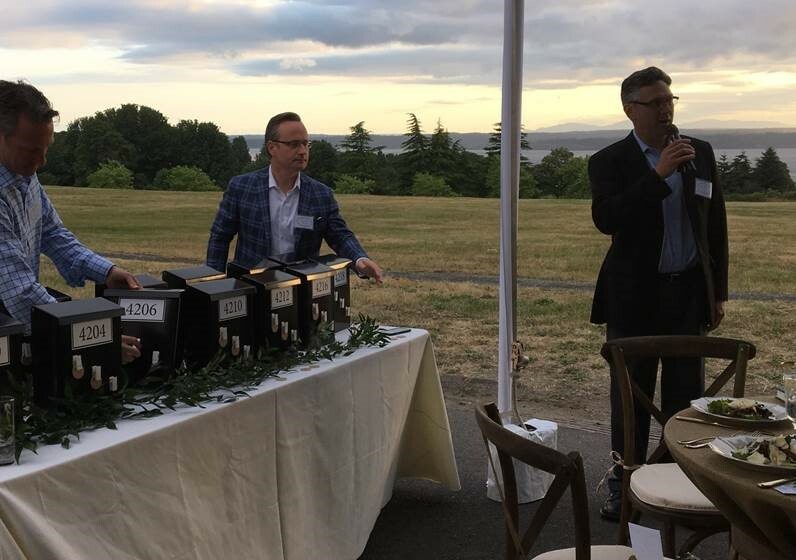 Last weekend, Realogics Sotheby's International Realty, debuted "The Ellicott," one of Fort Lawton's largest estates, to the public. In less than a week the meticulously refurbished and modernized $2.8 million Magnolia estate received multiple offers, and is now pending! An offer was put on it only two days after the home was debuted at the open house. 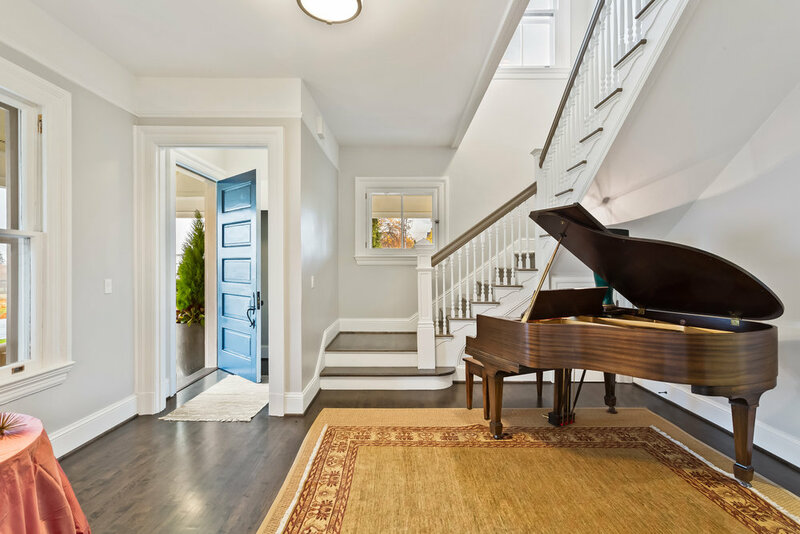 Check out the newest Fort Lawton listing here >>> 4010 Washington Avenue, "The Ellicott Plan"
More than a century in the making, the opportunity to own one of the last 13 Colonial Revival residences within Seattle’s historic Fort Lawton arrives today. The new listing includes 4,027 sf. of living space on four levels with 4 bedrooms and 3.5 baths. The kitchen is all new with custom cabinets, quartz countertops, Miele appliances and gas cooking. Upperlevel floor plans were redesigned to include a master bedroom, spa-like bathrooms, and walk-in closets. SEATTLE — More than a century in the making, the SEATTLE — More than a century in the making, the opportunity to own one of the last 13 Colonial Revival estates within Seattle’s historic Fort Lawton arrives this month. When fully restored, the first listing on Officer’s Row will be a Prosch plan offered at $2 million. 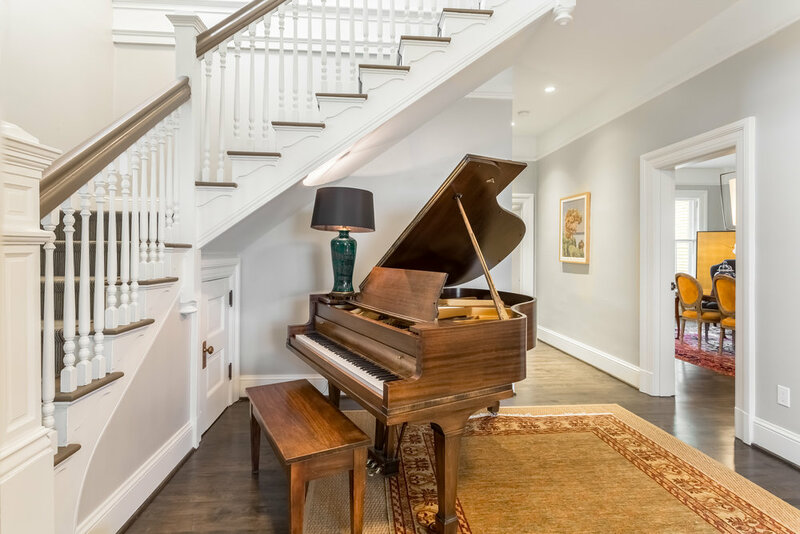 This nostalgic home offers more than 4,000 square feet of living space comprising four bedrooms and 3.5 bathrooms and a newly added two-car detached garage. Additional homes will be priced and sold as they are completed, according to Stephanie McMahon, the sales director at the Homes at Fort Lawton. 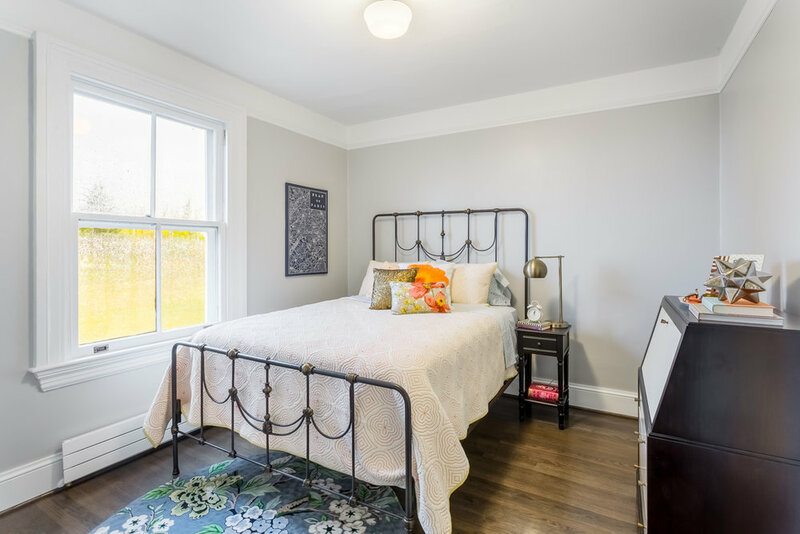 Originally built between 1899 and 1904 as housing for military officers, each home has been restored with modern conveniences while honoring its historic past, McMahon says. Perched above the former parade ground, all 13 homes on Officer’s Row front the 534 acres of Discovery Park with views of open space, native forest land, Puget Sound and the Olympic Mountains. “This natural sanctuary remains just 15 minutes from downtown Seattle, offering its residents the best of both worlds,” McMahon says. “An unprecedented series of events took place over the past century that led to these landmark homes to be surrounded by hundreds of acres of parkland — effectively an island of fee-simple land and private residences now offered for individual ownership. There are only 72 houses for sale in the popular Magnolia and Queen Anne neighborhoods, so it's not surprising what's happening with the 13 big, historic homes in the middle of Seattle's Discovery Park. A Canadian company, Rise Properties, is refurbishing the 13 Colonial Revival-style homes on Officers' Row at Fort Lawton, a former military base in the 534-acre park. The project won't wrap up for several months, yet sales are pending on two of the houses and buyers have made reservations to buy seven others, with prices between $2 million and possibly up to nearly $4 million. "How buyers would respond has been a big guessing game," said Rise Vice President Gary Blakeslee. "It's a really unique product in a very strong market." Rise's Fort Lawton project began about three years ago, when the company agreed to buy the 13 big houses and 13 smaller ones for $9.5 million, according to public records. Blakeslee said the remodeling work for the large houses cost between $400,000 to nearly $1 million. 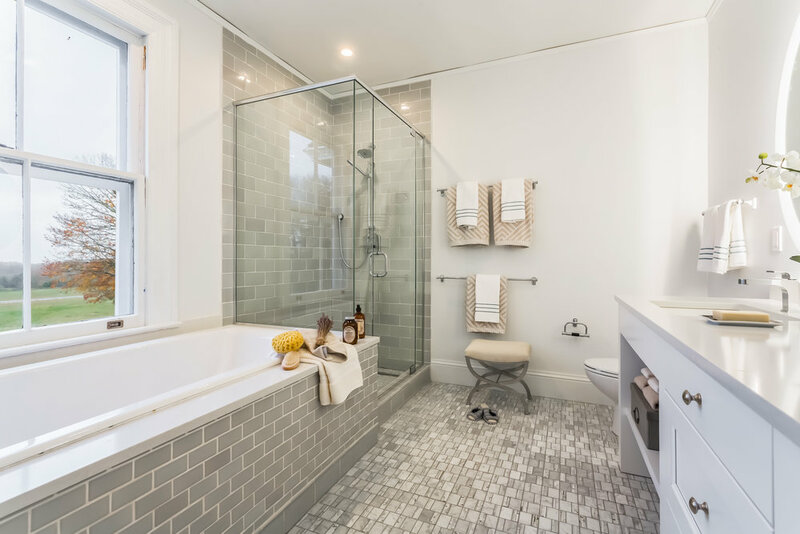 His company worked with Seattle architecture firm GGLO and the city's Landmarks Preservation Board on the project, which entailed adding new roofs, seismic upgrades, new plumbing and electrical systems, and kitchen remodels. The 13 smaller houses on Montana Circle were refurbished first, and all have sold for between $800,000 and $1.2 million. The houses on Officers' Row range from around 4,000 to more than 6,600 square feet, and Blakeslee expects them to sell for between $500 and $600 per square foot. Rise is acting as the general contractor and Blakeslese said the top challenge has been finding subcontractors in Seattle's red-hot construction sector. "We are paying premium rates to keep people on board there," he said. 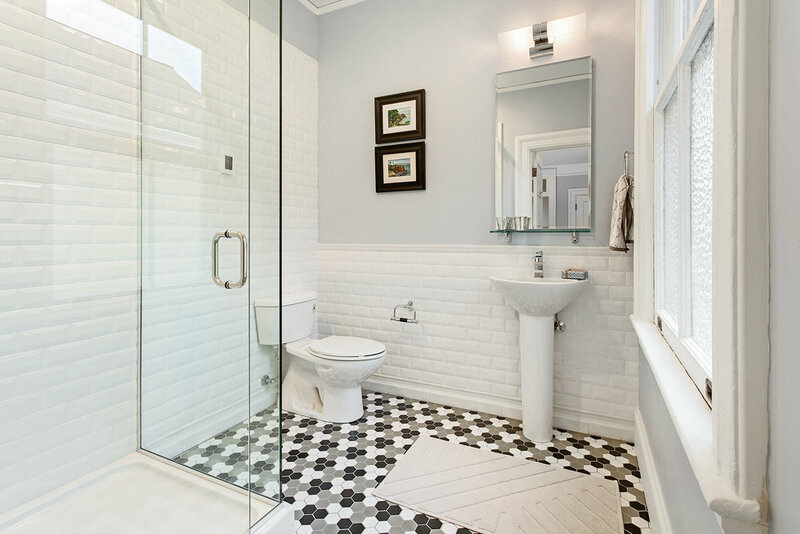 Homes aren't listed until the remodeling work is done. The Officers' Row houses were built between 1899 and 1904, and this is the first time they've been available for sale, so interest is high. To separate the "tire-kickers" from buyers with genuine interest, Rise created an "Officers' Club." To join, people had to write a personal letter or make a $250 donation to the Seattle Parks Foundation. Invitations to join were sent to more than 2,000 prospective buyers and real estate brokers, and around 45 joined, Blakeslee said. The remodeling is schedule to be done in December, though there have been construction delays of six to eight months. Given that all of the homes at Fort Lawton are on the National Register of Historic Places, people often inquire about the term "historic restoration," and what that actually involves.
."YOUR "ONCE UPON A TIME" . . . IS NOW! The last thirteen residences on Officer's Row at Fort Lawton present an opportunity like no other to live in an authentic, landmark community surrounded by the natural beauty of Discovery Park. 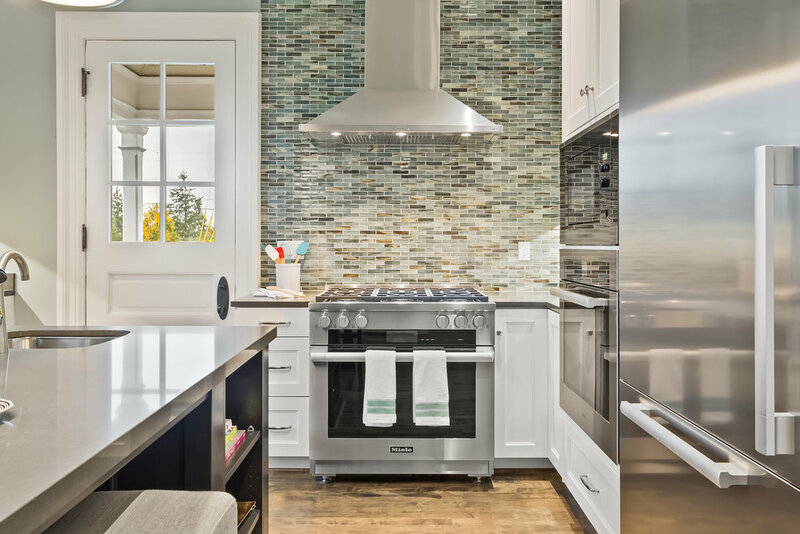 You are among the fortunate few who will be the first to tour a fully-renovated home. We look forward to your visit! 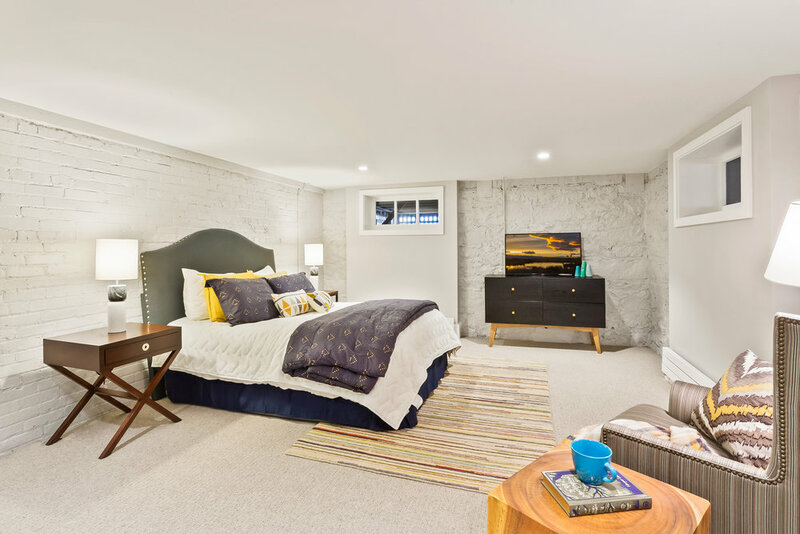 LAST 3 Fort Lawton Homes Available at Discovery Park! Out of hundreds of interested home buyers, I was successful in securing reservations for 2 families on Officer's Row at ‪FortLawton (the "Presidio of Seattle") in Seattle's largest city park-534 acres, Discovery Park. Only 3 of these 13 historically modern homes are available! Please contact me for details regarding the release of these last legacy properties in the Fort Lawton Historic District. The last thirteen residences on Officer's Row at Fort Lawton present an opportunity like no other to live in an authentic, landmark community surrounded by the natural beauty of Discovery Park.These homes become available for reservation on Wednesday, June 8th. In preparation for our first Reservation Event, RISE properties has hosted five intimate informational events for Officers Club members. These have included meetings with our design team at GGLO, and meetings with historians to discuss the significance of owning a landmarked home in Fort Lawton. YOUR "ONCE UPON A TIME" . . . IS NOW! It's not too late. You have 5 days left to prepare for our first Reservation Event on Wednesday, June 8th. Please register today so you don't miss this rare opportunity. To participate in the Reservation Event, you must be a member of the Officer's Club. Contact me to learn about joining the Officer's Club. The last thirteen residences on Officer's Row at Fort Lawton present an opportunity like no other to live in an authentic, landmark community surrounded by the natural beauty of Discovery Park. 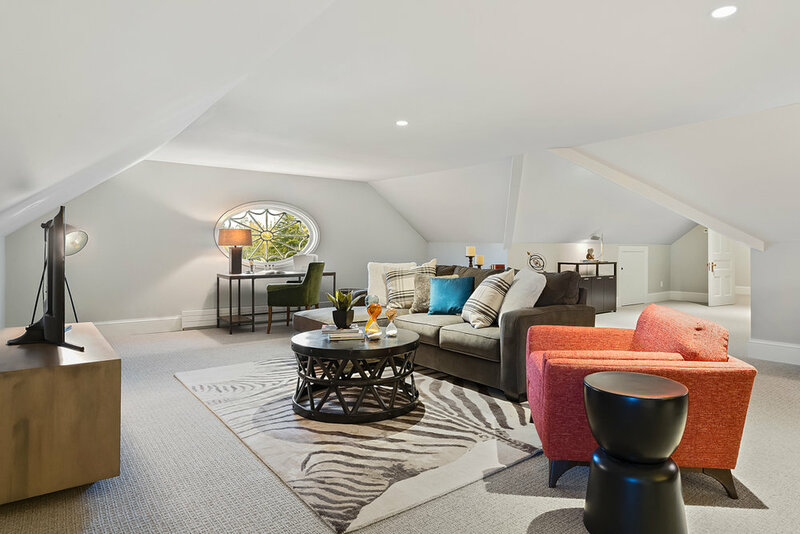 The offering of these homes is unparalleled in the county, let alone a single listing in Magnolia or the greater Seattle area, which is why we created the Officer's Club in preparation for the summer sales debut. The Officer's Club is a tailored program for qualified homebuyers (and their brokers) to receive priority sales information, gain preferred access to private events, and participate in the Officer's Row reservation process. Through this program we intend to provide exceptional service to people like you who have shown the most interest in these homes, before advertising draws others in for their first look. While we recognize that a distinct reason for joining the Club is for access to the early reservation process, we encourage you to take full advantage of the informational events as well. RISE Properties (Fort Lawton) Limited Partnership ("RISE Properties") could have designed a sales process that only maximizes profits, but that is not our goal. We believe that these stately homes deserve the type of stewardship that will ensure their historic integrity for another century. Hence, the primary purpose of the Officer's Club is to give each prospective buyer ample time to learn about owning and living in one of these unique residences, well in advance of the Reservation Event. * As a reminder, RISE Properties is hosting a Landmark Event this Saturday, May 21st, focusing on the history of each home and the advantages and limitations of landmark status. In addition, a second Design Preview Event has been scheduled for Tuesday, May 24th. 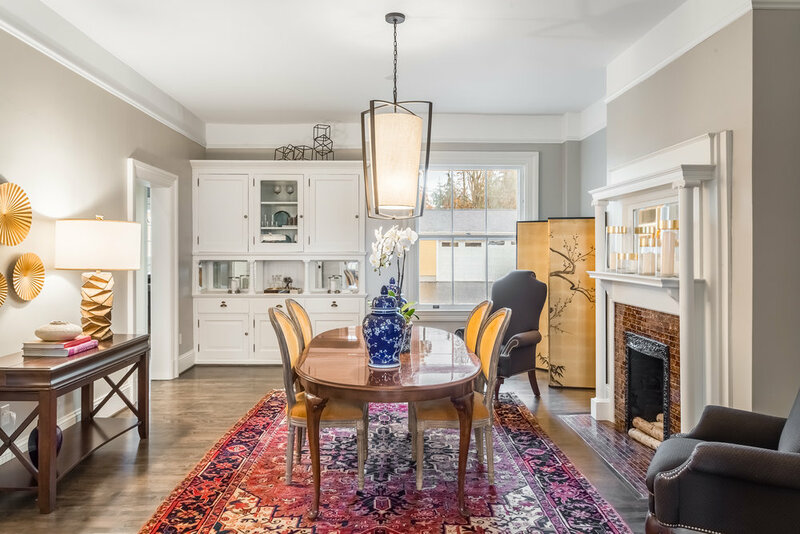 By June 6th - Meet with Fort Lawton listing broker, Stephanie McMahon or Fort Lawton buyer's agent, Aaron Freeman to discuss your preferences and value expectations. There will be no pricing available at the June Reservation Event; Officer's Row homes will be priced upon completion beginning in July 2016. Reservations will be address-specific. By June 1st, RISE Properties will provide the Reservation Agreement, Purchase & Sale Agreement and any addenda to qualified Officer's Club members for review. We want prospective buyers to have as much insight and information as possible prior to the Reservation Event on June 8th. Much deliberation has gone into the reservation process and event. As stated, RISE Properties wants this to be a transparent and equitable process. At the Reservation Event, each prospective homebuyer (households are treated as a single buyer) will be given thirteen personalized tokens. Attendees will be invited to privately place their tokens in address box(s) of their choice. This is where you influence the outcome. Every buyer is unique and he/she has the opportunity to place anywhere from zero to thirteen tokens in an address box. For example, if an attendee is only interested in the Ellicott plan, they may decide to place all 13-tokens in one Ellicott box or divide their tokens among the two Ellicott address boxes. Or if a prospective homebuyer is drawn to the Prosch plan, he/she may drop all of their tokens in one address box, or divide their tokens among any of the eight Prosch addresses. After all guests have deposited their tokens, we will hold a drawing for reservations. Following the same sequence as the release order of the homes, we will draw names for each address. The first name drawn will be the first reservation holder. There is a limit of only one "first position" per buyer, so please plan before the event. After all the first positions have been drawn, we will start the sequence again to determine the second position and so on. If an attendee's token is drawn again for first position, they will have the option of releasing their prior first for the latter address. Prospective buyers may hold a maximum of three reservations, only one of which may be a "first position." As names are drawn, they will be announced to the group, and we will have a private area to answer questions and formalize all agreements that evening. Deposits will be required within two business days of executing the reservation agreement ($10,000 for first position, $5,000 for second or third position). Deposit funds are held in escrow, and are fully refundable should the reservation holder not enter into a purchase and sale agreement on the reserved home. If you cannot attend the event, you may send a proxy with your power of attorney. Simply let Stephanie or Aaron know in advance of the event. The dinner is only for Officer's Club members, their broker and/or proxy. We will not be taking any reservations prior to the event (there are two existing reservations in place with previous rental residents). As residences are completed, reservation holders will be invited to privately tour their reserved home. We will begin with the first reservation holder, whom after the tour has three business days to sign a purchase agreement. If that reservation holder does not purchase the home, we will contact the second reservation holder for a private tour and so on. Based on our experience at Montana Circle, we know how to price these homes, and reservation holders will have the first right of purchase without any competition. Fort Lawton is a very special project and we are more interested in finding passionate homebuyers than maximizing profits. When a purchase agreement is signed, we will notify the other reservation holders for that address. We have no doubt that you may have questions, which is why we wanted to reiterate the prequalification information and share our deliberative process for the Reservation Event. After selling the homes at Montana Circle, we learned that our new homeowners are as unique as the Fort Lawton homes themselves. Their enthusiasm for these residences, as well as the park, has made us even more passionate about building this new community. For additional information, please contact me today! May 9, 2016 - Prospective home buyers who have joined the Fort Lawton Officer’s Club were invited to an interior design preview of the much-anticipated stately homes on Officer’s Row in Discovery Park on April 26th. This preview was the first in a series of Officer’s Club events designed to provide qualified buyers (and their brokers) with priority access to property information. 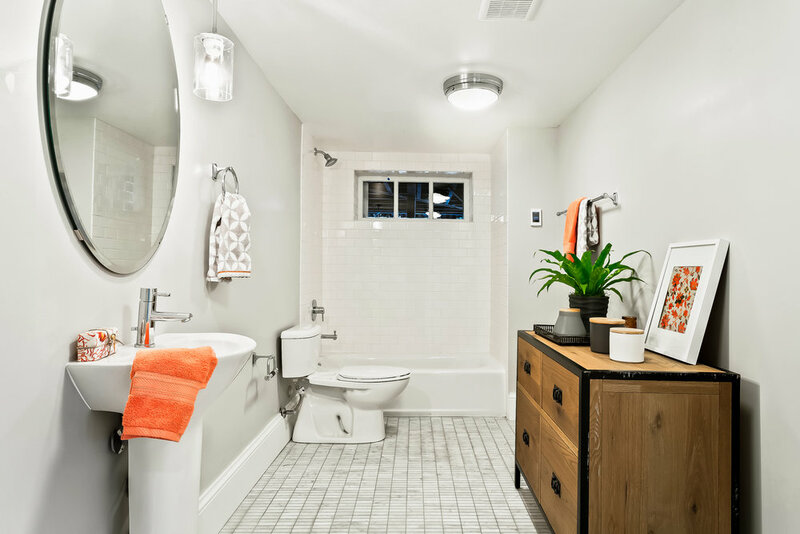 In order to accommodate the number of interested buyers, The Homes at Fort Lawton will be holding a second design preview on May 24th. For those who are not a member of the Officer’s Club it’s not too late to join and RSVP. At the first event, Officer’s Club members mingled in the downtown offices of GGLO with appetizers and refreshments while having the opportunity to hear from the developer and world class interiors team about the specialized nature of restoring these legacy residences. The soiree allowed for guests to view design boards, interior materials, and casually converse with the design team. Guests learned about the Colonial Revival architecture, which was common for important buildings built around the turn of the 19th century, and is perhaps best reflected in Thomas Jefferson’s Monticello or George Washington’s Mount Vernon estate. The team also shared their impressive vision for how to honor history while designing for modern day lifestyles. They shared design secrets such as converting excess bedrooms into walk-in closets and voluminous master bathroom retreats - and much more. Learn more about the design specifics of Officer’s Row, here. 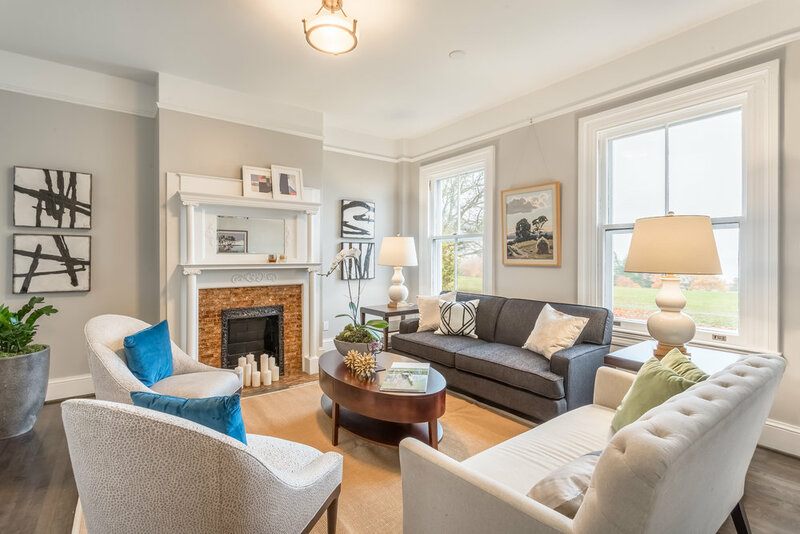 The Officer’s Club is a members-only program where prospective homebuyers at Fort Lawton are invited to events and will have an opportunity to place a reservation on a home on June 8th, 2016. Reservation holders are then provided ample time to prepare their current home for sale, organize mortgage financing and generally position themselves for a closing on Officer’s Row with the confidence and comfort of knowing they are protectedin this opportunity without fear of multiple offers or price escalation. 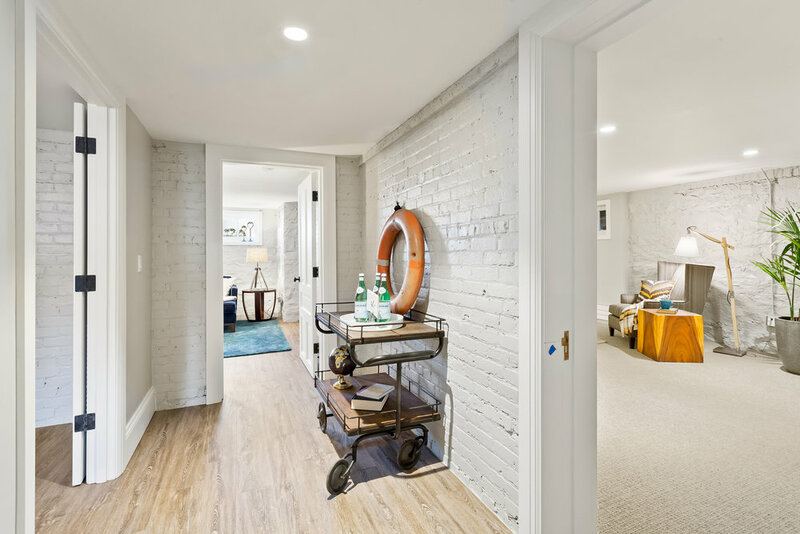 Prospective homebuyers need not wait for upcoming events to learn more about Officer’s Row as Sales Director Stephanie McMahon, and her assistant Lorraine Rotanelli, are available daily to answer questions. In addition, Aaron Freeman, also with Realogics Sotheby’s Int’l Realty, is an onsite buyers’ agent and listing broker for existing home sales for those interested in a turnkey solution. To attend the events you must be a member of the Officer’s Club. Please contact me today to learn more about the Officer's Club and how to join! Contact me today for more information on the Officer's Club and the opportunity to attend one of these exclusive preview events! Please contact me for more information on the Officer's Club and how to join. Representing the buyers of three of the now sold out Montana Circle homes, I am the top-selling buyer's agent at Fort Lawton with a track record of performance, trust me with your approach and purchase of these collectible homes. I’ll promptly respond to your questions and requests! Please contact me to learn how to join the Officer’s Club and become a part of this exclusive community!